I do not remember how I missed Valentine’s Day this year. I know one thing for sure; I was away from home. I was in a country where this day does not receive as much attention as it does here in Zambia. So, before I knew it, the day was past and gone! The reason why I answered that way was because no one who is really in love needs to wait for some saint by the name of Valentine to remind him or her to express love to a loved one. The heart will want to do that all the time because love is a beautiful thing. This is now about three weeks since St Valentine did his magic and left us until next year at the same time. The question I ask is whether he went away with that thing called love or do we still have enough of it to share with that individual whom we really love. True love is not switched on and off by a scheduled calendar event. True love is permanent and it grows. True love in fact fights against all odds. 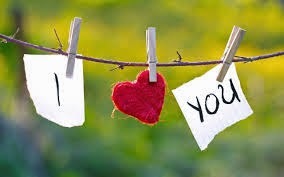 If you are in love, you have continued to think of ways in which you can express your love to the person whom you love. Let us always remember that love is a gift of God. It is not the gift of the devil. God gave marital love—which is what we were supposed to be celebrating last month—so that a man and a woman can share a slice of heaven on earth through a marriage relationship. The sad reality is that often that is not the case. Many people today are living in loveless marriages. Men and women who are married have to go outside their marriages to enjoy conjugal bliss. Adulterous affairs, consequently, are the order of the day. What causes this? It is what the Bible calls sin. Sin is a disease in the human soul that makes us chronically selfish. So, what we call love is often just lust. We lust after someone and marry him or her. Before long, we lust after someone else. Adultery is the result! Lust wants something for itself, whereas love wants something for the other person. In other words, love always gives. That’s what we see with God. The Bible says in John 3:16, “For God so loved the world that he gave his one and only Son…” God loved and he gave. True love is a beautiful thing because it gives. Thankfully, God does not only give but he also saves through his giving. He then turns us into his bride, the bride of Christ. If you want to know true love, do not seek it from another human being. Seek it from God by yielding your life to him through repentance and faith in the Lord Jesus Christ. Amen!